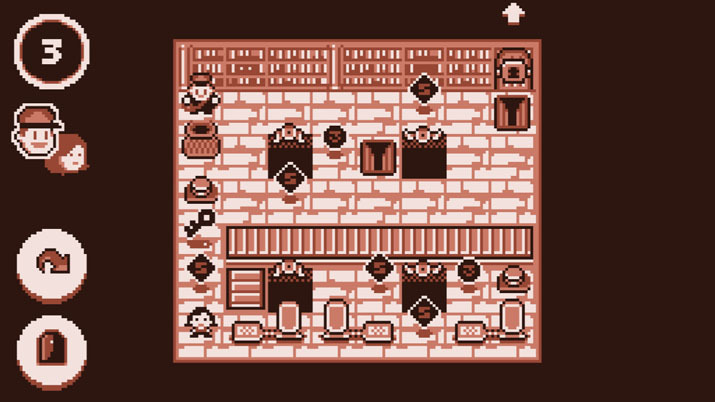 Warlock's Tower is a simple yet brutally challenging puzzle game with a touch of retro and quirkiness. The premise is straightforward—one move is literally one step closer to death and failure. Your goal is to reach the door at the end of every level and secure success with the notion that each turn you take could be your impending doom. Everything from the controls to the narrative is relatively uncomplicated making it accessible to any player. You'll find yourself enticed with elegantly crafted stages that make for mindless fun, but before you even know what you're getting yourself into, that fun turns into a mind-wracking hardship. You, the player, assume the role of a foolhardy messenger who is entrusted with the duty of delivering a message to the local warlock who is set on destroying the world. Along the way, you encounter an assortment of eccentric personalities that accentuate the nonsensical undertones. From not so sinister warlocks to adventurous little girls who frequent perilous towers, the characters and dialogue make for a lot of lighthearted fun. Amidst the frustration of brain crunching puzzles, it's nice to have a little silliness to take the edge off. Nonetheless, the story is only secondary to the real meat. Warlock’s Tower’s main selling point is its promise of nefariously challenging puzzles, and yes—it delivers. It does an excellent job in teaching you how to play by gradually acclimating you to the different mechanics level by level. And as the number of hazards increases, respectively so does the difficulty. The game starts out relatively forgiving to slowly ease you in, though the imminent addition of obstacles such as flesh-hungry zombies or conveyor tiles will start to push you up a ramping difficulty curve. Traversing through the five different stages, you'll find yourself adapting to new types of enemies and terrain which start to compound on top of each other to make each puzzle more and more convoluted. But, you are eventually granted the ability to place checkpoints and alternate with another companion to aid you in these harsh endeavors. The puzzles are all about logic and planning. 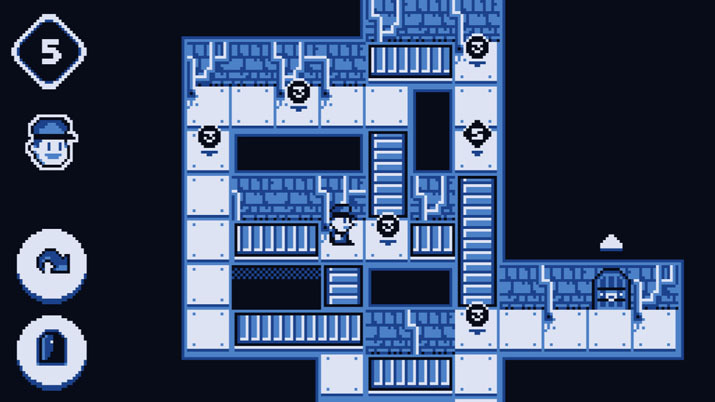 Everything in Warlock’s Tower is systematic, so there is no leeway to exploit an easy solution. This makes the gameplay seem devastatingly intimidating at times, but also very satisfying when you do complete a level. Additionally, from the layout of each puzzle, it looks like there are many variations on how you can achieve victory. Rather than having a set path to the finish, there seem to be multiple routes that do the job. In turn, this gives players more control and freedom on how they tackle each predicament. You can tell that each level was intuitively made to offer the player a customizable yet challenging experience. In regards to aesthetics and audio, it's all pretty well made. The visuals present themselves as a neatly crafted pixel art that is specifically reminiscent of a Gameboy color game—an old, simple style with modern polish on it. It just has this mono-color theme going on that throws me back to when I was playing Pokémon Silver in the old days. The chiptune music is upbeat and catchy as well; it's always nice to have some fun tunes in the background while you're maneuvering a minefield of traps and monsters. As for everything else, the controls are both easy to learn and use with the addition of controller support. The interface is also nice and clean making for quick and seamless navigation. Furthermore, there is functionality with Twitch where streamers can create an interactive experience with their viewers and propose solutions to levels as a collective. Though there are some voiced issues with this, such features are rare and it's great to see more games add in-stream integration.